Ooops! First animal claimed extinct due to 'climate change' found 'alive and well' | Watts Up With That? The Aldabra banded snail, declared extinct seven years ago, was rediscovered on Aug. 23 in the Indian Ocean island nation of Seychelles. The mollusk, which is endemic to the Aldabra coral atoll — a UNESCO World Heritage Site — had not been seen on the islands since 1997, said the Seychelles Islands Foundation. 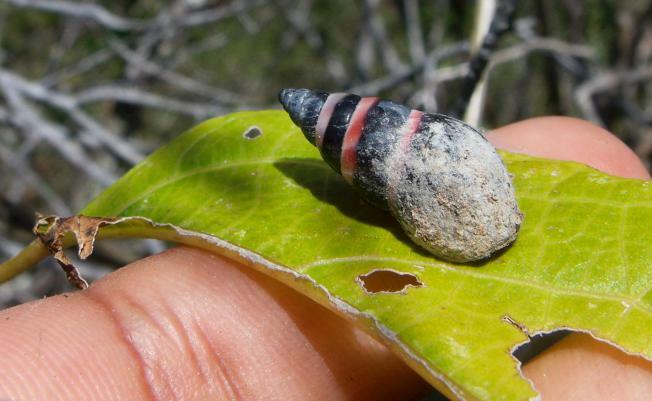 Conservationists are celebrating the banded snail’s reemergence. September 8, 2014 in Extinction. It’s a miracle! Praise Gaia. Exactly, you hit the snail on the head. Every species on earth will go extinct. Period. And if we keep making darwinesque fools of ourselves, ours will be sooner rather than later. How could it be the 1st when 99.9% of all species to ever exist have already went extinct to climate change. Oh, I forgot the religious zealots believe the climate was stable then just recently changed. Hear, hear! We might just be the 0.1% of species to actually embrace climate change! Shame we are cooling, or about too. Species will always become extinct. Virtually all plant and animal species that have ever lived on the earth are extinct. For this reason alone, extinction must play an important role in the evolution of life. The five largest mass extinctions of the past 600 million years are of greatest interest, but there is also a spectrum of smaller events, many of which indicate biological systems in profound stress. Extinction may be episodic at all scales, with relatively long periods of stability alternating with short-lived extinction events. Most extinction episodes are biologically selective, and further analysis of the victims and survivors offers the greatest chance of deducing the proximal causes of extinction. A drop in sea level and climatic change are most frequently invoked to explain mass extinctions, but new theories of collisions with extraterrestrial bodies are gaining favor. Extinction may be constructive in a Darwinian sense or it may only perturb the system by eliminating those organisms that happen to be susceptible to geologically rare stresses. The fossil record, together with modern data, can provide a deeper understanding of biological extinction and its consequences. Extinction is a fundamental part of nature — more than 99% of all species that ever lived are now extinct. Whereas the loss of ‘redundant’ species may be barely perceptible, more extensive losses of whole populations, groups of related species (clades) or those that share particular morphologies (for example, large body sizes) or functional attributes such as feeding mechanisms, can have profound effects, leading to the collapse of entire ecosystems and the extermination of great evolutionary dynasties. It would be foolish to declare species extinct before you are really sure. Ain’t no party like a conservationist party. Yeah, certain zealots among the Gang Green would have stomped on the poor little fellows and report a hands-on survey that definitely proved the snail was gone. Remember the golden toad extinction in Costa Rica due to biologists with dirty equipment infecting them with a deadly fungus from a South African toad that carries it. 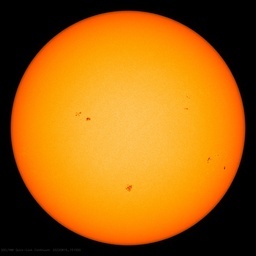 They quickly published a few phoney papers on global warming being the perp. The grand worldwide dying back of hundreds of toad and frog species coincided with scientific collecting of species to get the best one for making the pregnancy tester. Gee you don’t think they reused their rubber gloves over again do you? WUWT had an article on it too but I cant find a search engine in this new format. The Warmist-conservationist sub-species only celebrates when it has something to deplore. The Audubon Society reports that half the birds in the U.S. will be disrupted. http://www.nytimes.com/2014/09/09/us/climate-change-will-disrupt-half-of-north-americas-bird-species-study-says.html?_r=0 However, Ducks unlimited reports an increase in U.S. duck population for 2014. What’s up with that? These studies are,at best, questionable. I agree with the Audubon’s report. Damn those pesky wind turbine cuisinarts/solar panel roasters. The bird population is being disrupted because they are being killed by the huge wind turbines that have been installed throughout the world. I personally prefer seeing birds flying freely than to see those ugly (terribly expensive) things ruining the once lovely landscape of our country. Yet more foolishness from the doom&doom crowd. There was never anyway to suspect, much less prove, that the animal went extinct due to the rainfall amounts and absolutely no way to prove that the rainfall amounts were impacted by the magic molecule CO2 in the atmosphere. How long can this anti-science madness go on? As long as the money lasts. How can you prove that the slug has gone extinct in the first place. Do they do an annual census on them ? Look at that little S-CAR-GO! “Look at that S-car turn around” ? That little guy is going to need to be in the safe house protection program now. The hit squads of the policy priests will be sent in to rub it out to match earlier policy claims and spending programs. Once you’ve been declared dead by The Mob, your expected to stay dead. The same climate rapid reaction force who uprooted the tree which Alex Morner showed proved sea level rise is a lie, will now be flying to the Seychelles to stamp on some snails. Nice work if you can get it. That would explain the extra butter and garlic ordered for the plane’s galley. “This purple snail — the Aldabra banded snail — is a resident of the Seychelles Islands in the Indian Ocean and is easily recognizable because of its conspicuous purplish blue shell. Though it was once easy to find 3 decades ago, [Oxford University biologist Justin] Gerlach says that now “it has been impossible to find. The last one was found in 1997 and it was collected simply because the person who collected it thought it was strange and didn’t know what it was.” Gerlach believes the species went extinct during the late 1990s following a series of unusually long and hot summers that killed off a large number of younger snails.He reached this conclusion after observing that the smaller shells once commonly picked up by collectors were vanishing with the advent of the longer, hotter summers — a phenomenon he attributes to global warming. If his intuition is correct, that would make the Aldabra banded snail the first climate change related casualty. Well, they should recover a bit now that we quit warming….more time to adapt. We are IMO on the top of a climate sine curve, and are spending money on the past instead of providing the ability to adapt to a colder future. How many have to die of the cold before we have enough of false leaders? Wonder if ” observing that the smaller shells once commonly picked up by collectors” had anything to do with their decline. Nah, that’s just indigenous hunter gathers. we all know that’s just innocent nature at work. so an increase in rainfall made the snails existence possible…. Wow! Global warming can kill off species AND bring them back again! Only one? Is this species hermaphroditic? Probably and somehow starring Daniel Day-Lewis. I suppose the music sound track will necessarily be Tempo Larghissimo. I’m sure there were some mixed responses. Perhaps there was an aw chytt moment when it was realized that the death pronouncement was inaccurate. It is surprising the “rediscovery” found them “alive and doing well” after having been pronounced gone. Who would know the difference? Obviously it was a little early to announce their demise, but how many set backs like this will there be before there is some fudging of the data to keep up appearances. Of course it could be turned into a money maker. Instead of being alive and well, it could have been a call for help. What a missed opportunity. I can see the wildlife fund adverts for the save the snail foundation. Just send in the money and we will take care of the rest. Do it now before they are gone! It is hard to get away with claiming polar bears and penguins are going extinct because somebody can find otherwise, as we have seen. But, some obscure thing like this snail could easily be hoaxed out of existence, or to the edge of extinction, and nobody would be the wiser. How many field mice, and pikas, and pup fish, and owls, frogs, turtles and the like are really going extinct? Or, are we being fooled? If I’m looking for an animal, and I don’t find it, can I then write a paper and become a famed mass extinction event alarmist. It seems so. I haven’t seen Giraffes today. It is rather cold here in Germany; so I guess the Climate Change killed the last one. Now if they could only link declining rainfall to global warming, they would have something. It is a plant. Big Oil has a huge refrigerated tanker ship that was passing by and it dropped off a couple of stored containers of Aldabra Banded Snails just so they could be ‘rediscovered’. The person making the ‘rediscovery’ was probably in the pay of big oil. Another CAGW prognostication down the tubes! proof positive. global warming has ended. Did you know that snails are the most prolific livestock animal producing more than 150 eggs at a time in one clutch? Its also the livestock that requires less stress in breeding them. You can buy a baby snail for less than N30 and make more than N200 as profit on such snail when it reaches table size. headline – “Climate Change Causes Virgin Birth” – lock up your daughters. It is worse than we thought. That’s gotta be wrong- it must be an entirely new species that simply resembles the recent departed. It worse than we thought! Snails are hermaphrodites. Some snails play both roles at once and fertilize each other simultaneously. Diane is worried that even more species will come back from the dead. Totally invalidating her work. Zombie snails, feasting on the living. For most of the 20th century there was a trend to assign species status to just about everything that was slightly different. With DNA testing so readily available, they are beginning to find out that a number of so-called species may not even deserve sub-species status…race, breed or variety would be good enough. As such the ‘parent’ species grows in number and many of these ‘endangered’/nearly extinct outlying populations disappear. Not saying that this is the case with this snail, but if it is just a variant of a more common species, that can account for its supposed extinction and return. “Only time will tell if they can survive the threats of climate change and sea level rise,” Gerlach said. Yet another claim by climate obsessed extremists is proven wrong. I think they need to strap a GPS to the snail and see where he goes. I hope they remembered to tag it. I can see it now. The Aldabra Banded Snail re-extinct as the last known specimen is crushed under the weight of a GPS tracking device. I am your plants,I grow best in a greenhouse where I am warm. I need & get lots of CO2 & water to grow. I love sunlight .I am your food. I am God ,I control the weather; Genesis 9:11-15. Man-made global warming is blasphemy! This snail is obviously a denier. I think maybe, dinner for some other creature. I wonder what kills the little guy? Terrible tragedy for the alarmists. Truthia Ethicae was the first casualty of Climate change. Circa, Mike’s Nature Trick. There was a Brown University report last week that claimed “Extinctions During Human Era One Thousand Times More Than Before.” I know they blame the extinctions of many large mammals on early humans, but have there really been that many species that have gone extinct recently, say since global warming became the latest alarmist fad? Is there a list somewhere? Since CAGW was responsible for the snails demise, doesn’t the snail’s re-emergence mean CAGW is over? Before you scoff at that logic, compare it to current Climate ‘Science’. A lot of nonsense as usual. a) Aldabra is not part of the Seychelles, its an isolated atoll 400 miles away. b) There have been a lot of invasive species introduced (rats, cats, goats) causing extensive habitat deterioration and at least one extinction (Aldabra Bush Warbler Nesillas aldabrana). Unfortunately extinction of native snails (and other organisms) on oceanic islands through introduced predators is a very common occurrence. Extinction by climate change, on the other hand, has as far as I know never been reliably observed. One of the many pernicious effects of the CAGW hysteria is that in this area too, a lot of attention is focussed on a non-issue while more pressing problems get ignored. Anyway, for ‘verifiable’ extinctions due to climate change you’d probably have to go back to the last glaciation to find them, either at the beginning or the end. Unfortunately not much of a “maybe”, I’m afraid. It has not been reliably observed for half a century, and those large Campephilus woodpeckers are pretty noticeable. Not that many extinctions can be assigned to glaciations either, and those usually happen at maximum glaciation (as you might expect), not at the beginning or end. There was a lot of extinctions back at the beginning of the Pleistocene c. 2.5 million years ago as glaciation got started, and another wave about 0.8-1.0 million years ago as glaciations shifted from relatively low-amplitude 40,000 year cycles to much higher amplitude 100,000 year cycles (“the Mid-Pleistocene turn-over”). Not much since then, though the tree flora in Europe typically loses one or two species each glaciation. We don’t have very many tree species left by now, compared to North America or East Asia.. It would thus seem likely that organisms living there can’t be very sensitive to drought. It’s actually at the Smithsonian Institution. I don’t think they are very big in the spam business. Shouldn’t that be ‘resurrection’? After all, we were told they were ‘extinct’ and AGW killed them…..
Durn critters keep refusing to read the memos ordering them to report for census. The analogy to penicillin is glib. I propose an experiment. Maybe just a thought experiment but it’s interesting nonetheless. Some people think a species extinction is a tragedy beyond price. Let’s find out. I will make a new snail species if I can get a government grant. What will the feds pay for a new snail species? My guess – not much. It shouldn’t be hard. I take some snails and I divide the colony into two parts. One I feed and water well and the other I starve. After a couple generations I should have two snails – fat ones and thin ones. If they can’t interbreed, I have created a new species. Dog breeders have been doing stuff like this for millennia although they try to avoid fertility isolation. If I got two mutually infertile strains of snail what would be the payoff? None actually. No one needs another snail species. So why is it so terrible when we think we’ve lost a snail species? We can always make more.